In saucepan, heat oil over medium heat; fry onion, garlic, oregano, salt and pepper, stirring occasionally, until onion is softened, about 5 minutes. Add stock and pasta sauce; bring to boil. 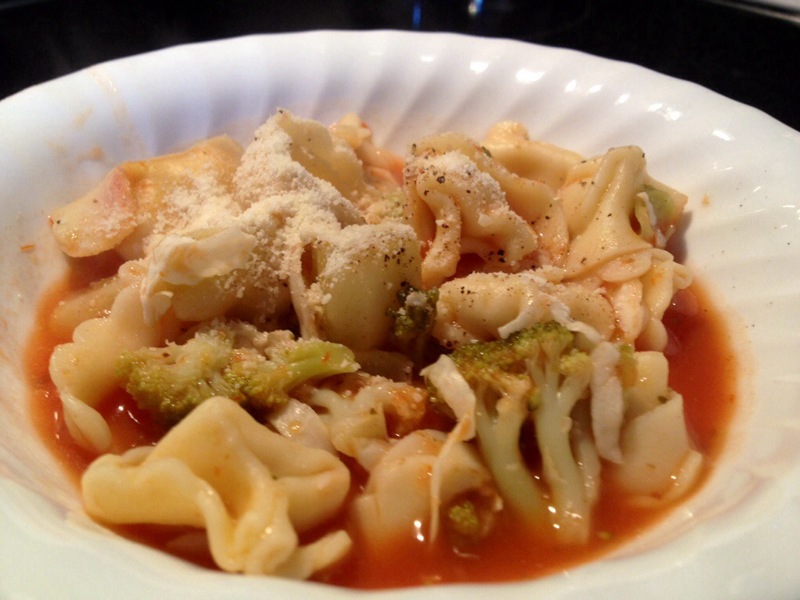 Add tortellini; reduce heat, cover and simmer until pasta is almost tender but still firm, about 7 minutes. Add broccoli and return to simmer; cook until piping hot and broccoli is tender-crisp, about 1 minute. Ladle into bowls; sprinkle with cheese. That was so good!! I had two big bowls full ! !